Congratulations on the purchase of a new house! Your house is definitely your most prized possession and you would not want to go wrong with the decisions you make while living in it. Since with great roles comes greater responsibilities, it is always best to start early. So, while you are trying to settle down in your newly owned paradise, make a note of things that can save you from future headaches and pocket full of wasted money. Here’s a perfect checklist of things that can help you easily walkthrough the responsibilities that comes with your new square footage. Rather than wasting your time and energy, and money, choosing the right paint color for your living room walls or the rugged carpet for your bedroom, it’s wiser to invest some time in devising a safe home strategy. Not only will give you a sense of security from intruders and other emergency situations, it will also give you peace of mind that your loved ones are safe whether you are at work or on the go. Today, there are a number of top home security companies that provide customized home security solutions as per your needs and budget. So, go ahead and choose the one that best fits the bill. You don’t really know who else has the keys to your home. So it’s always advisable to change the locks of your new house to keep unwanted guests away. Install new sturdy deadbolts in all your doors and get firm latches for the windows. You can either do it yourself or seek help from a professional. Though you may be an expert in repair and maintenance tasks and can totally repair and upgrade your bathroom yourself, you would still need an easy access to experts who can take care of all your home repair emergencies. Check out our list of best plumbing service providers in and around your area and keep their number handy. They can provide you complete professional assistance when things get out of control. For everyone else (who hate messing up with stuff), they can be your best friend in need. It’s always comforting to know who you are dwelling with. Get to know your neighbors, have their phone number, and maintain good terms with them. They can be your biggest help when in need. Is the roof of your new house leaking or are the ducts and vents clogged? Chances are that your previous home owner was not good with home maintenance. Check for all damages and get them repaired beforehand. Also, create a home maintenance checklist and run through it once every month to make a note of tasks that you have to do on a monthly, quarterly, or annual basis. 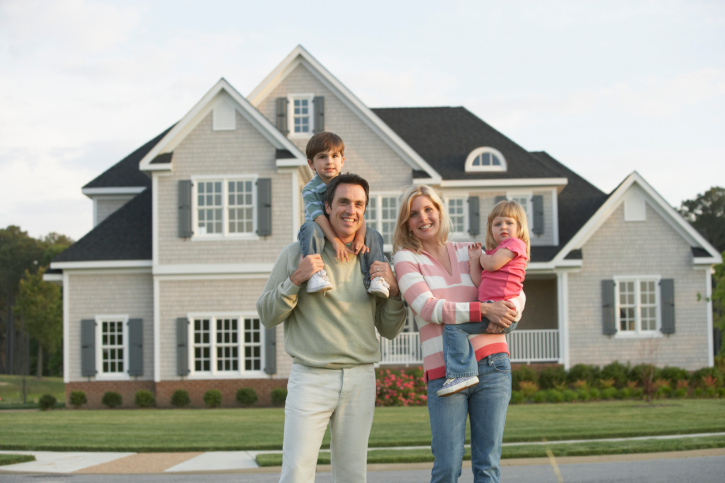 For greater protection of your assets, invest in a good home insurance or home warranty plan. Not only is it the easier way to finance repair and replacements, it also secures you in the event of damage to the property or total property loss. Whether you want to buy new furniture for your house or have to do some appliance shopping, choose wisely! Invest in items that complement your lifestyle and are also reliable and energy-efficient. There’s no point in filling up your empty house with big-ticket items that will not make sense just few months down the line. Don’t let the excitement of being a new homeowner jeopardize your personal or financial security.